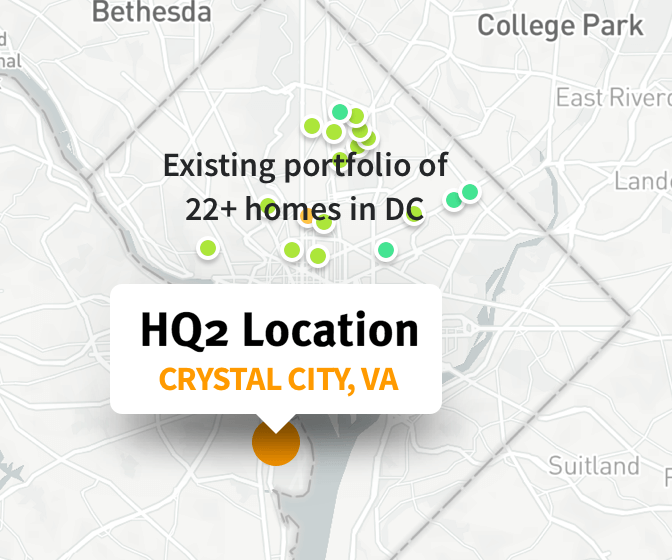 With the recent announcement by Amazon to open one of two major headquarters, “HQ2”, in Northern Virginia — aiming to bring 25,000 new jobs and invest $2.5 billion in the new location — the Washington, DC eFund plans to capitalize on this growth by acquiring properties for the development of housing targeted at first-time, move-up, and active adult homebuyers in the Washington, DC metropolitan statistical area (MSA). The eFund intends to primarily target equity investments in homes, townhomes, and condominiums in the area. Among the top MSAs and urban centers in the nation, there is endemic undersupply of affordable housing available to Millennial homebuyers. The eFund intends to capitalize on the key demographic trends that have created a pent up demand for affordable for-sale housing, including education and cultural trends, a strong preference for walkable, urban centers, and an increasingly attractive buy versus rent cost analysis. As Millennials shift from renting to home buying in the coming years, the eFund aims to meet demand for attached homes and condos in growth neighborhoods adjacent to major metropolitan cities, such as Washington, DC. Performance data will become available once the Washington DC eFund begins reporting a net asset value per share (NAV). To learn more, please see the offering circular or contact us at investments@fundrise.com. The Washington DC eFund recently began ramping up and has not yet acquired its first project. As with our other offerings, investors can expect timely reporting on any new acquisitions, progress, or payoffs. Fundrise and Amazon.com, Inc. are not affiliated. “Amazon” is a trademark of Amazon Technologies, Inc., a subsidiary of Amazon.com, Inc.